Read our VVS vape pen review to learn why its overall ratings online are mixed with some good and bad reviews. We vaped a disposable vape pen from VVS and it got us high quick without having to take too many puffs. 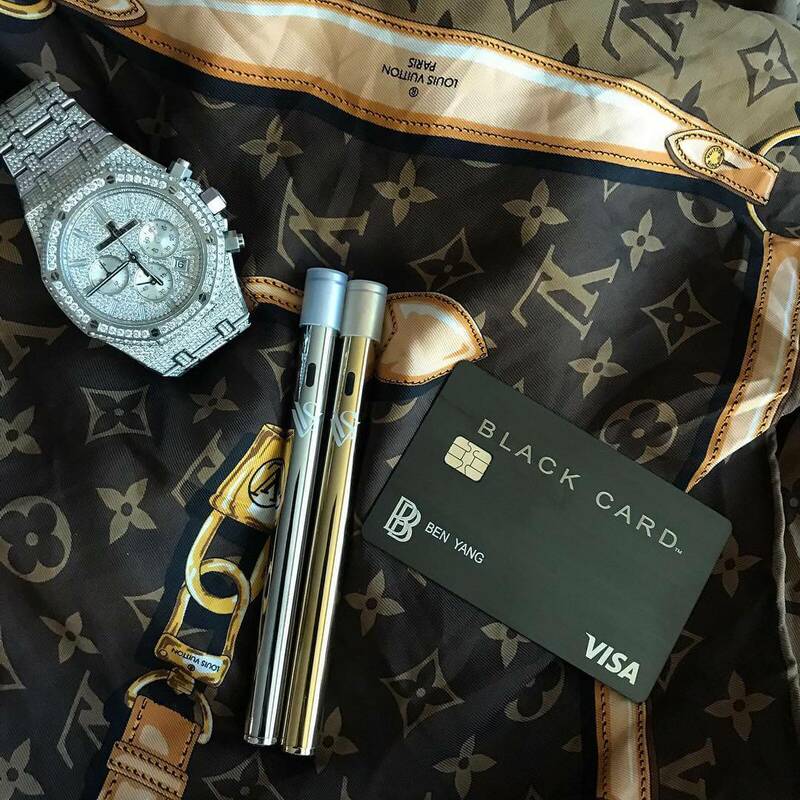 A full gram disposable VVS vape pen cost us $45. The packaging isn’t too impressive but the vape pen looks and feels nice. The VVS pen is disposable and gives plenty of hits. Its small enough to take anywhere without taking up any space. The smooth metal finish makes this hash oil pen easy to slide out of your pocket. I recommend keeping this concentrate pen inside a case. Looking for a disposable vape pen with some cannabis oil that has solid strength? 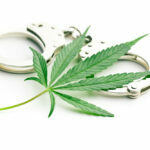 Don’t let the negative VVS pen reviews on Weedmaps stir you away from them. This disposable vape pen itself hits great (better than other throwaway vape pens that I’ve tried such as the Bumblebee vape pen). One vape hit from this VVS disposable pen is about three times stronger than a hit from a joint. 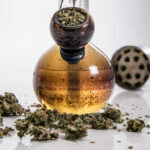 Top shelf cannabis can reach up to 30% THC. The THC percentage from VVS disposable pens are around 75%. 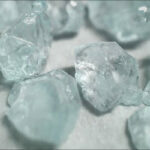 The 11 different strain options consist of up to 75% THC for each. The VVS vape pens are considered medium to high strength. No matter high much of a heavy tolerance you have this is one of those vape pens that will get you high with one full draw. Take another full draw from a VVS pen and you will feel like you have taken a dab. The VVS pen lasts long and is worth the 45 dollar cost for a gram of it. I enjoyed every single VVS disposable pen with my favorite being the Girl Scout Cookies. While I enjoyed this particular strain, there are others who do not like the taste of these VVS disposable pens. We recommend this hash oil vape pen because it doesn’t smell like anything close to cannabis. The VVS vape pen allows you to get high in places you never would be able to with a traditional joint. 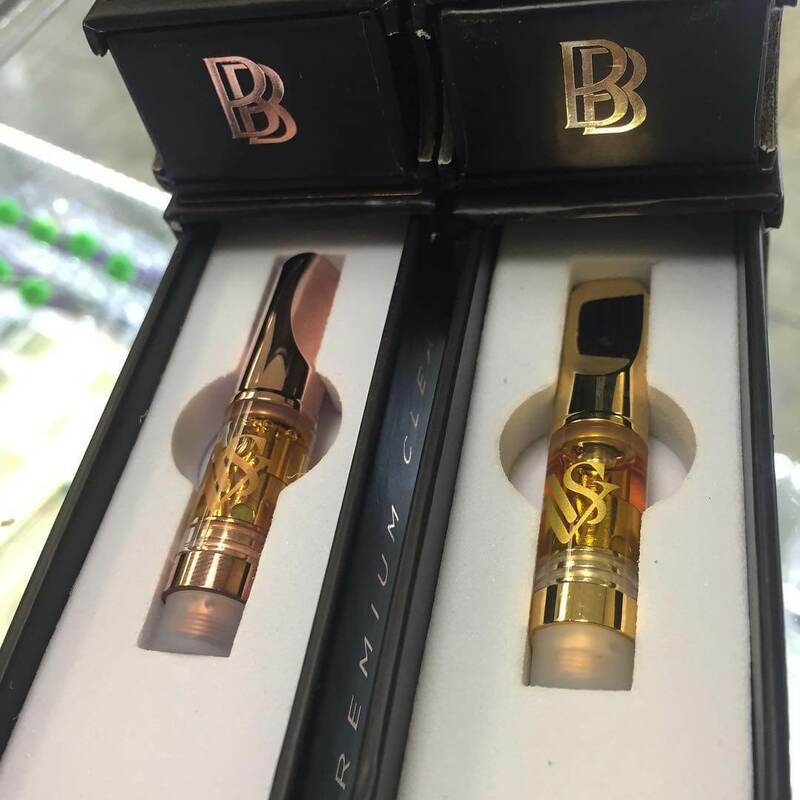 This cannabis oil vape pen is perfect for those new to smoking cannabis and want a healthier way to get high. This vaporizer battery is a popular choice because it protects the vape cartridge from damage. This switchblade looking like vape pen is great to use not only with VVS cartridges but other 510 prefilled carts. We recommend The VVS key pen vaporizer for its long-lasting battery and useful functionality. 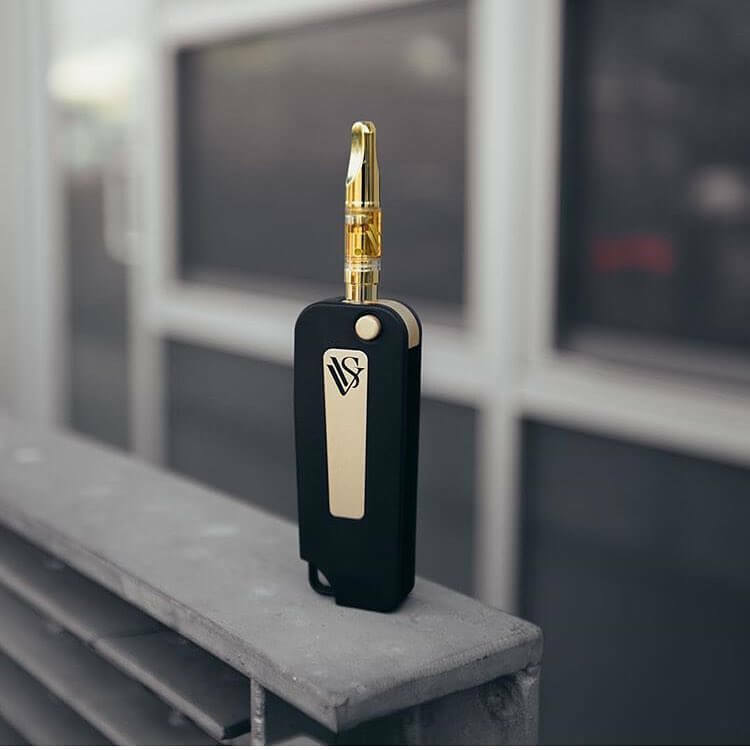 The VVS key pen is perfect for those who want to have close access to their hash oil but not reveal it to others. This battery design is being used by a few other brands that include FlavRX and Cobra extracts. Its a popular option because its easy to use and it last longer than the pen size vape batteries. 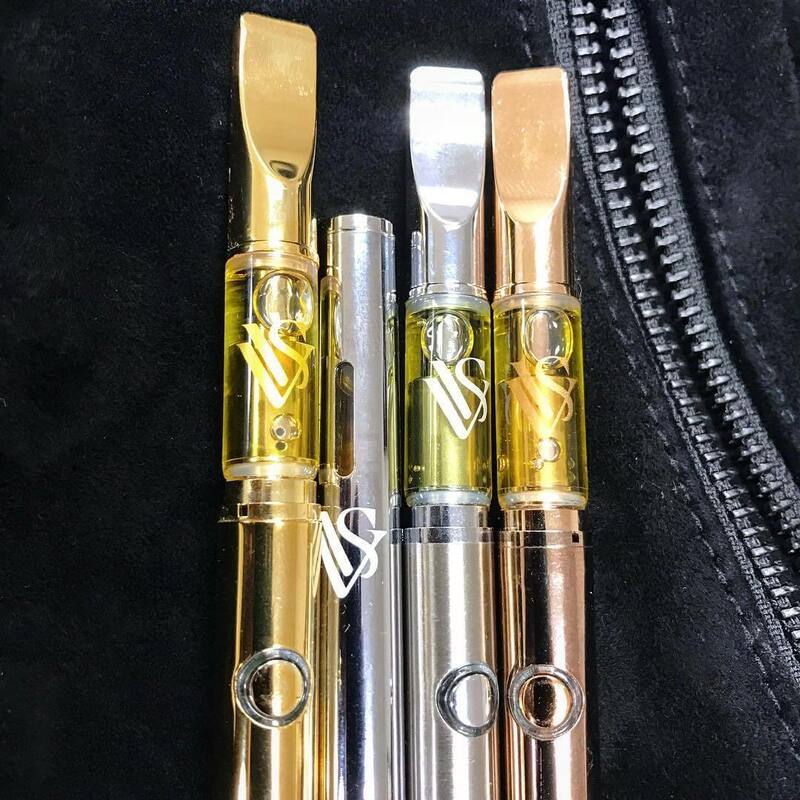 There are plenty of dispensaries in California that sell the VVS pens and cartridges. I was able to buy a VVS disposable pen from the black market for $25. I have friends who enjoy this vaporizer prefilled hash oil pen, however, they don’t frequently buy it. 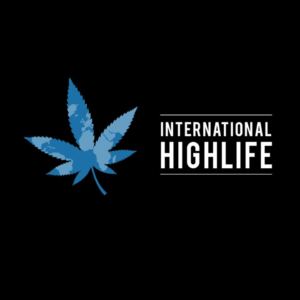 They have half gram carts with hash oil that is tested at 90% THC according to their website. There is no actual lab test of the cannabis concentrate used from VVS. In conclusion, this is an affordable option that has the advantage of getting you high discreetly. 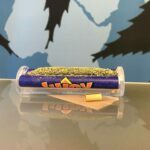 This concentrate pen is a solid alternative to the traditional joint because it doesn’t smell as strong. 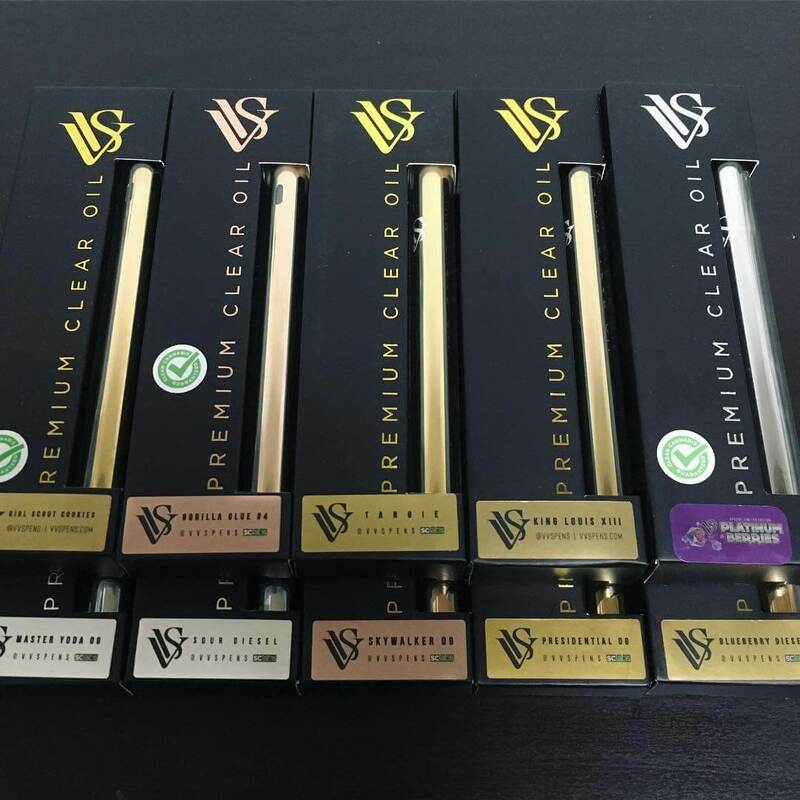 Those who are after sweet tasting cannabis oil will also like VVS pens. The VVS pen price is good for what it offers, and that’s a good hitting vape pen with high-quality concentrate oil. The flavor from this vape pen brand is like no other cart I ever tried. They are perfect for getting high and hiding it with cologne-like fragrance. No one will detect that you are vaping hash oil. People will easily think this is a nicotine flavor vape pen. While I am a fan of these special flavors, there quite a few people complaining about it in online reviews. I would only repurchase these if I was traveling and didn’t have any other options. The VVS pen is a better selection compared to cannabis if you want to get high in public places. The reviews from people who bought VVS pen on their Weedmap pages are mostly negative and the flavor seems to be the biggest issue. At the moment the overall VVS Weedmaps rating is a 2.8/5 from out of 28 reviews. Its recommend to use their 510 cartridges with their vape pen battery for the best flavor. However, as long as you maintain lower than a four voltage temperature you will have smooth hits. Leave your own VVS pen review in the comments below. Have you vaped this disposable hash oil pen before? What did you think about its unique taste?